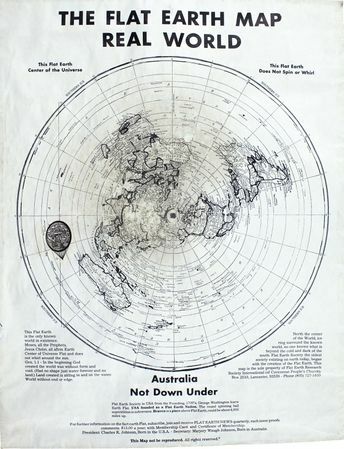 The oft renewed ‘Flat Earth’ stupidity is derived from wrong interpretation of The 1569 Geradus Mercator Projection. The Loxodromic or Rhumb Lines Arc of Meridians of Longitude, essential to navigation. But then, if you weren’t dealing with US heards of non-educated, you could hardly pack a theatre posturing ‘Flat Earth’ deceptions. And indeed you could not present a grand stupidity derived from the pollution lie set, of an ‘Inconvenient Truth’ (actually an inconvenient lie) of a death knell from the grand deception of an anthropogenic derivation of WEATHER. Apart from excess carbon taken in by the sea. That which is not essential plant food for our oxygen. The shift of mush brains can be steered anywhere, after that one. It was a massive and final test. THE HERDS LOST: BIG TIME. Canada will continue to pay well into the future for sucking onto silly Bardot’s narration over a French film crew clubbing cute faced baby fur seals. ‘Real Women wear Fake Fur’. And DowDuPont went laughing to this day. You remember that company. The one that doped nylon to bring it back to Fit For Use, and further disguised, Planned Obsolescent. Which reminds me; that Bayer-Monsanto’s fabulously safe Glyphosate, is carcinogenic after all. Who would have thought. The international fake food shove; with the aid of so many internationally bought legislators and government actors, was such a roaring success. Rumsfeld gave us HFCS. Which is everywhere. The Paperless World is Lying, surprise surprise, on the link of Cane Sugar and HFCS. The lies on sweeteners and insecticides are monumental. As are the lies on ‘safe’ and ‘proven’ pharmaceuticals, Vaccinations are a lie in their own category. The US currently trying to legislate against people stating facts about vaccinations. The world has seen that before. No wonder; History, Geography, Maths, Science, and English, specifically, have been replaced by the junk they have. The Curriculum produces Stupidity as its core requirement. Recall Thalidomide? There were many death-trap pharmaceuticals that followed to this day. Recall Kent Cigarettes with the asbestos filter? Johnson’s baby powder has asbestos in it! Nestle convinced young mothers in Africa that they should not breast feed but use the great formulas. “And here’s a free can to try”. Later, there was this tragedy of toxic contamination. But they were sorry and fixed the problem. But there was also a ‘medication’ that stopped lactation. Surprise…surprise. Peasant villagers have no money to pay all for a tin of toxic baby formula. Which was never needed before. As the Indian peasants in Bolivia were being chased by government to pay Bechtel for the rain water they could not buy. And never had to. Bolivia sold its water to Bechtel. So collecting rain water was illegal. Unless you bought it. Those sent to threaten and collect, never returned. The government changed its insane perspective. I trust the bribes were not repaid. Bechtel levied the cities instead. Pesticides are monumental. Out pops one; supported by the settled science. Government actors are variously convinced. Then the problems arise. Well, government approved it. No problem, here’s a meaningless fine, with an insult of compensation. And by the way; to keep the massively lucrative cycle rolling, here’s one more of the same. This one should roll another decade or two. Then we have the one to follow that one. Nicotine, Pyrethrum, and Neem, are natural insecticides. But we can’t have those. Bayer-Monsanto stakeholders have rights you know. The US wants it all; IP, Trademark, Copyright, the lot. Even The Genome. They want the food chain, all water and the world’s energy reserves. And it is bankrupt with a meaningless military. What are we told? Notice that Syria, Venezuela, Ukraine, North Korea, Iran, Iraq, China, and Russia, are sliding off The News Cycles. Lucky for Christchurch and Muellerization. MSM can hardly go honest. And what would happen to AltMedia? Push more snake oil, non-books and non-videos? Wind up Prof. Moron and Dr.R.Swipe to start equating the fairies at the end of the garden? The Stockholm Convention is as ridiculous as The Chemical Weapons Treaties signed by The US. The US, while screeching that Russia broke them, re-tagged its operations from ‘Military’ to ‘Domestic Civil Disturbance Control’ by The DOJ. The source of The BZ used at Salisbury, for the Novichok Lie. (Theresa May, Amber Rudd, Esther McVey; what is it with rabid tokens?). And then we have the great 1080 and PAPP. Recall: Aldrin, Chlordane, DDT, Dieldrin, Endrin, Heptochlor, Mirex, Toxaphene, and Propiconazone, Chlorpyrifos, Dimethoate, Monocrotophos, Mancozeb, and Diazinon, Dursban, Atrazine, and Agent Orange, and on and on. They just keep rolling in the same cycle. And good old Organic is now also polluted. So buying crap looking produce at twice the price is also nonsense. Reading labels is idiotic. Even that hiding under numbers, will not give you the right answers. The perpetrators can ‘legally’ hide the contents. The Australian Medical Scientist (William McBride, who died last year) who linked the Thalidomide tragedies was demonized and destroyed for ‘Scientific Fraud’. But The Climate Lie isn’t. The French Scientists who traced AIDS-HIV back to its CIA inventors, suddenly died. Notice how HIV, Ebola, and other major problems dropped off the news cycle or vaccines suddenly materialized? HIV is in the gaol system, but cannot be spoken of. So WJC selling contaminated blood to The Canadian Red Cross, killing over 100,000 people, was “just one of those things”. And of course Australia does not have Lyme’s. REALLY! And there are debates about Dengue, Q, Barmah, Malaria, and Ross River. And just a few hours ago (as I write this), Ebola cases by the thousands are being reported in Africa! There are no longer medical ‘cures’. There is only ‘management’ by masking symptoms. 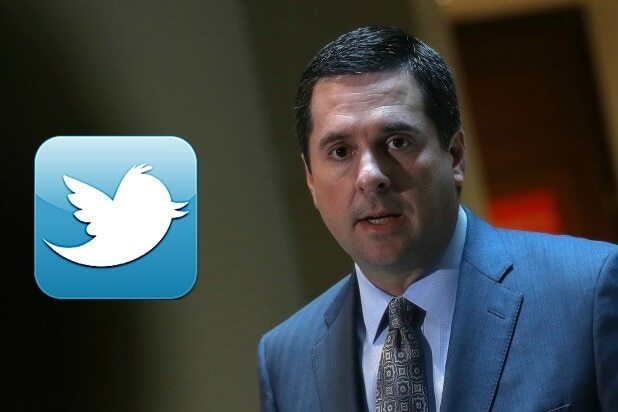 Devin Nunes has just kicked the can down the road by suing Twitter for $600 mil (not $250 mil MSM is reporting). Apparently platforms as Twitter; and Fakebook to come; have been ‘censoring’. You may recall that last year; Fakebook had been confused almost on a daily basis as to whether it is a publisher or a platform. Given the benefit of doubt, the test was; you can pretend platform until you misbehave again. Now, you wouldn’t believe it; Fakebook was selling its harvested data. Not an issue of software suppliers having an agreement. As well as ‘censoring’ what its dysfunctionals can’t understand. But of course Twitter does none of the kind. It just uses ghosting, to make it impossible to read what you should not be reading. History is not relevant in the modern world and non-competitive with the socio-economic imperatives of Liberal Arts, Gender Studies, Minority Studies, Ethics (well, “ideologically tuned”), Climatology, and the distortions of every reality passing the door. Compound this with politicised ideologically dysfunctional non-meritorious, quota systems of entry (opportunity), backended with a dysfunctional tokenism of ticketing (outcome), and the recipe is set. The current follow-on US Education Department Witch Hunt, is going nowhere. The various lists of world educational institutions still have the US junk and token shops at the top of the list. Recall up to March 2008; The US Rating Agencies; S&P, Moody’s, and Fitch, still had bundled junk from shops like Goldmans, Lehmans, Morgans et al, as AAA. (vide; ‘The Big Short’ and ‘Margin Call’, for a taste).